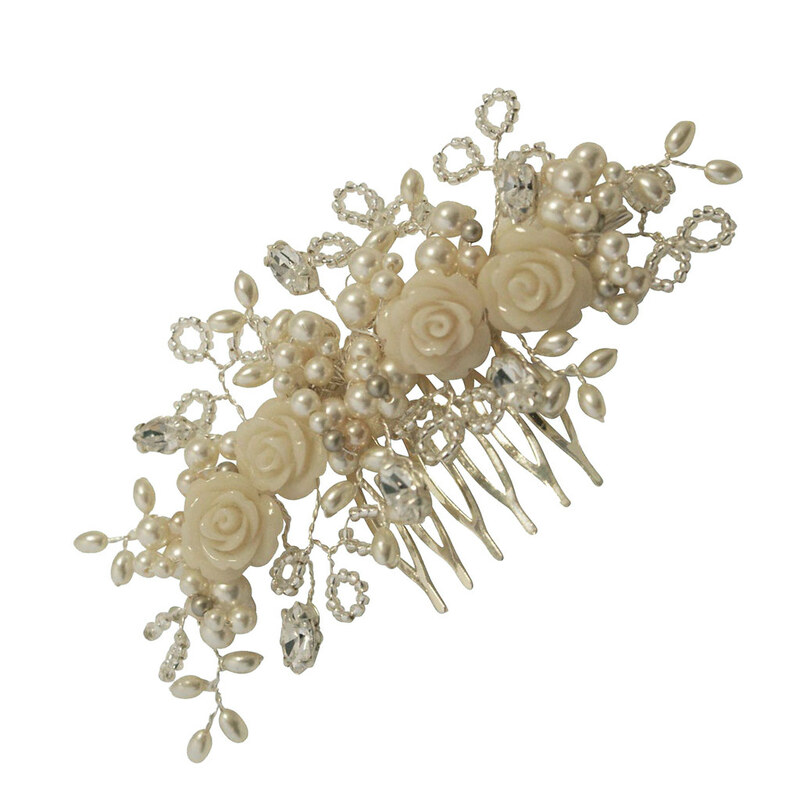 The Kelly Rose Vintage Inspired Crescent Comb is already a firm favourite here at Ellie's Wedding Accessories! We have this piece in store to try as a headband; a great secure way to wear this vintage inspired accessory! Given a slight crescent shape this would be fantastic in an up do or wedged into a bridal bun. We've added a little bit of colour to this piece to give it that antique feel using a dash of platinum and peach coloured pearls,coupled with some table cut Swarovski diamante navettes. This colour scheme is perfect for all wedding themes but can be altered on request. Bespoke options are available on this piece. Contact us to find out more. This product was added to our catalog on March 21 Thursday, 2013.